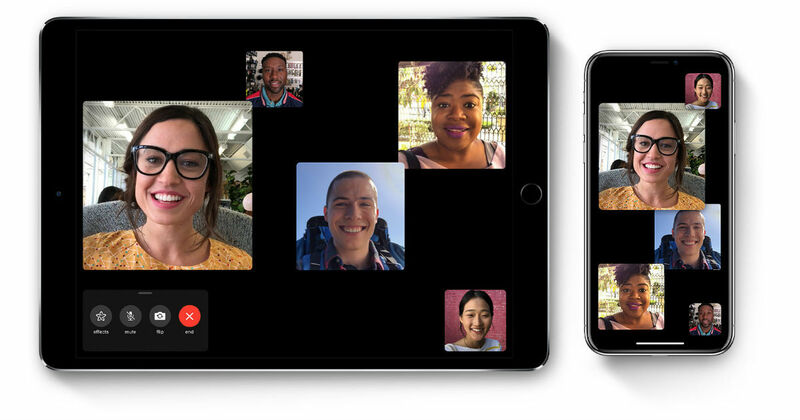 Group FaceTime was among the most-awaited iOS 12 features, at least until it was hit by a bug. Due to the bug, Group FaceTime calls could allow callers to eavesdrop on recipients’ conversation even before they answered the call. It was a breach of an individual’s privacy, for which the Cupertino-based faced criticism – in fact, the company rolled back the Group FaceTime feature over the controversy. Now, Apple has released a new update in iOS 12.1.4 that is claimed to fix the vulnerability with Group FaceTime. It’s available for download for iPhone 5S and later, iPad Air and later, and iPod touch 6th generation. Apple in a press statement says a “logic issue existed” on Group FaceTime and it has now been fixed with “improved state management.” The company has also restored the group calling service and fixed a previously unknown issue with the Live Photos feature of FaceTime as well. To get the new iOS update on your iPhone, iPad, or iPod Touch, head to Settings, then tap on General > Software Update, and hit Download and Install. Talking about the Group FaceTime feature, it allows users to get into a video call with as many as 32 contacts simultaneously. Apple introduced it last year with the iOS 12 software.